Let the crystals sparkle your home! Crystal is hot in jewelry this season. Its elegant appearance is dressing up outfits via necklaces, bracelets and earrings, and now it’s time to imagine the same glamour in your home. Chandeliers offer an obvious way to bring crystal inside, but there are other ways too. Whether through small touches or elaborate applications, get ready to shine with crystal this spring. Chandeliers come in a variety of designs and emanate glamour and elegance. This living room takes on an entirely new panache with the addition of two fantastic pieces. However, crystal can make equal impact in smaller (and more affordable) doses when applied to the right spots. 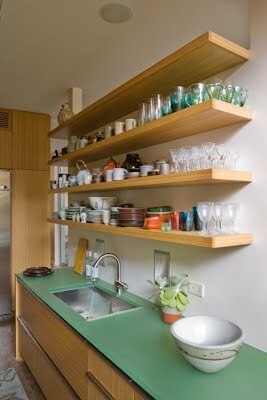 Dress up your cabinetry by replacing your hardware with crystal options. Mix and match with noncrystal pieces for an eclectic flair. 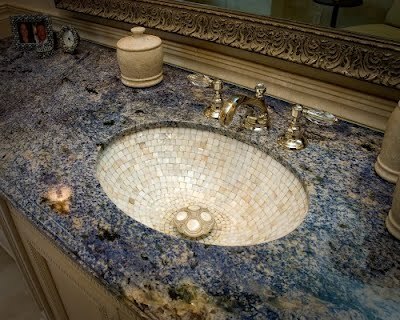 Work crystal into your bathroom via faucet handles. It’s a small touch but one that will catch everyone's eye. 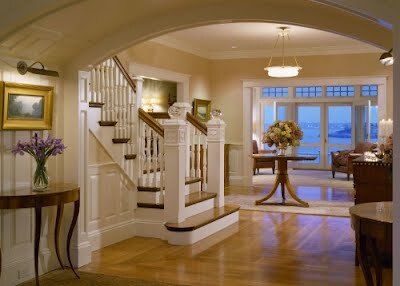 Top your staircase banisters with crystal finials. These crystal balls may not let you see into the future, but they certainly let everyone see a sophisticated accessory. Crystal lamps provide function and beauty to any space. Here they enhance the air of understated elegance without competing with visual space. Celebrate the beauty of your crystal collection by putting it on display. 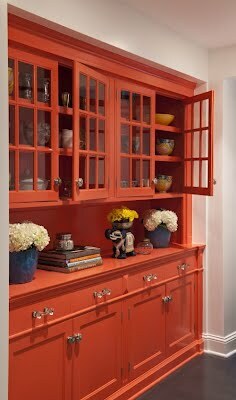 Work it in with your current dishware for an eclectic mix. 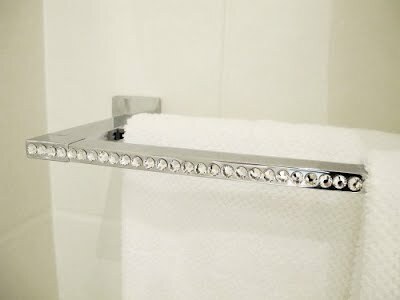 Who said an everyday towel rack can’t have pizzazz? Detail it with crystal beads for a chic look all its own. Pull crystal into your interiors inexpensively with faux crystal garlands, which many craft stores carry. 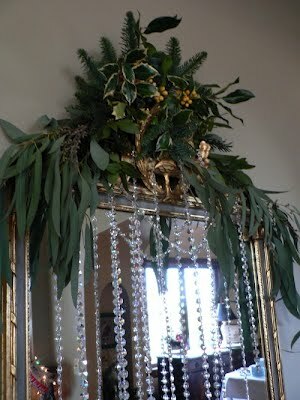 Drape them in spots that could use a little extra glamour, like the edges of a mirror or along your fireplace mantel. 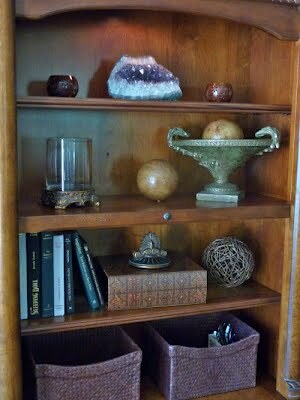 Accessorize your bookshelves with beautiful pieces like this amethyst crystal for a sparkle that will catch the eye. 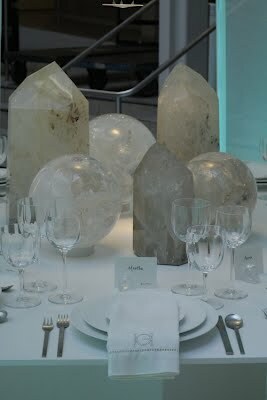 Large crystal pieces accessorize this tablescape in a tasteful manner that is every bit luxurious. Here’s to hoping affordable versions of these big crystal chunks will show up at some of our favorite stores as the trend continues. This incredible crystal application is certainly something I never had in mind when researching this subject. However, you can’t beat the statement-making impact. 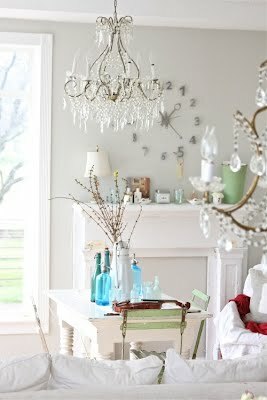 If chandeliers are still more your style, introduce an eclectic charm by hanging one in a more casual space. Keep your pocketbook happy by hunting down an antique one with a bit of patina at your local flea market or vintage shop. 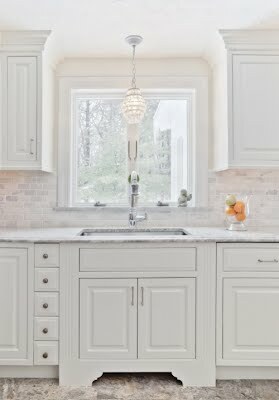 A small crystal fixture in this kitchen capitalizes on its classic, chic aesthetic. 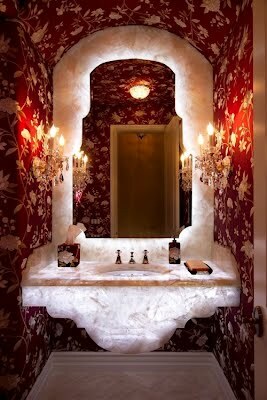 For a fixture both traditional and modern, look for crystal pieces in unexpected designs. 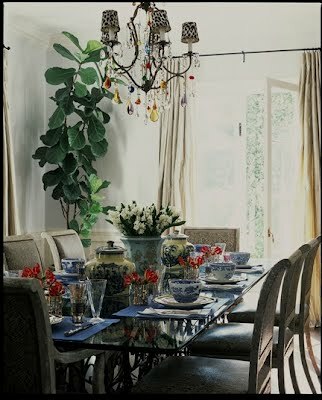 For added color, consider a chandelier or fixture with a rainbow of crystals. 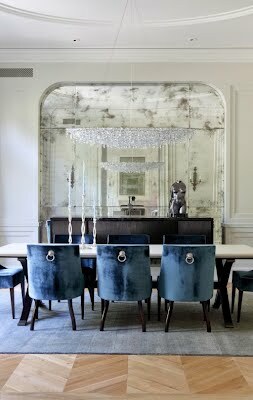 You could even dress up your current chandeliers by hanging crystals of different shades for an updated and unique look. 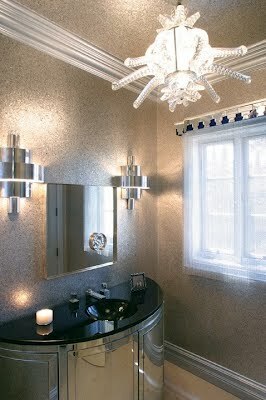 Amplify your beautiful crystal fixtures or accessories by placing them within a mirror’s view. 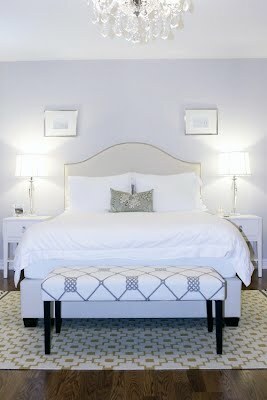 The reflected sparkle will produce a shine throughout your room.